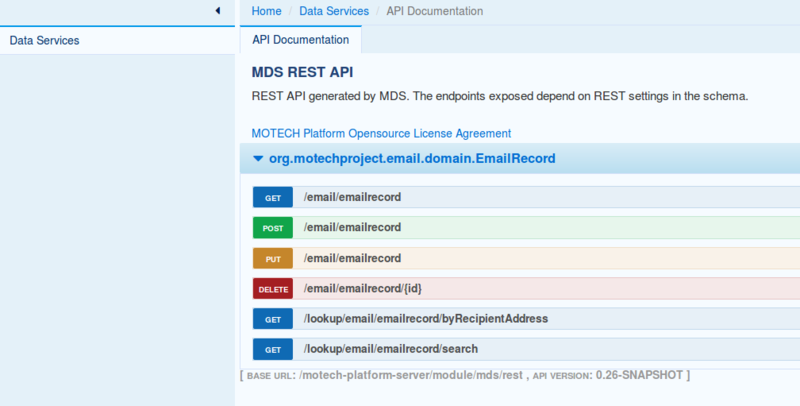 MOTECH uses Swagger for generating a user interface that documents and allows testing of REST APIs. 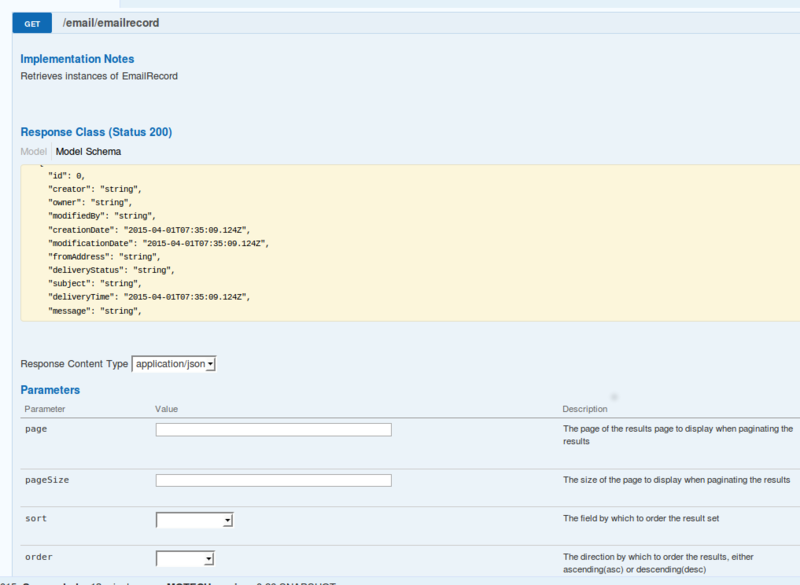 An interface can be generated for each module that wishes to register a REST API for documenting. This document will describe the process of registering a REST API for the module with the system. It is worth noting that this documentation will always be generated for MDS entities that have REST access enabled. For each HTTP method allowed for a given endpoint, the user will be able to view the details of the operation, such as the structure of the response, structure of the expected request, allowed parameters. Users can use that UI to easily execute REST calls against the API and view the responses. The first step for registering rest documentation is creating a Swagger spec file that will describe the API. More information on spec files, ways of generating them and so on can be found on the Swagger spec Wiki. After generating the file, it has to be exposed by the module through HTTP. You can achieve this either by placing the file in your webapp resources or by creating a Spring controller that will serve this content. For more information on exposing a resource, refer to the UI documentation. After the resource is exposed through the UI, its path should be specified in the ModuleRegistrationData bean using the restDocsPath property. Below is an example of a simple module registration that registers the spec file with the system. After these steps, the module and its API will be incorporated into the Swagger UI exposed by MOTECH.